I had the privilege of guiding Caleb Dos Santos on his first Hunt. At 13 years young he is one of the most competent hunters i have guided. “My name is Caleb and I will soon be 13 years old. 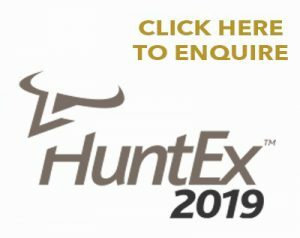 My interest in hunting started in 2017 after a family weekend away on a friend’s game farm in Limpopo province. It was there that I was first allowed to shoot a ‘break-neck’ pellet gun and observe antelope species. I am also lucky to visit my grandparents at their holiday-house in Marloth Park and have many opportunities to visit the Kruger Park where I enjoy spotting and photographing a variety of game. 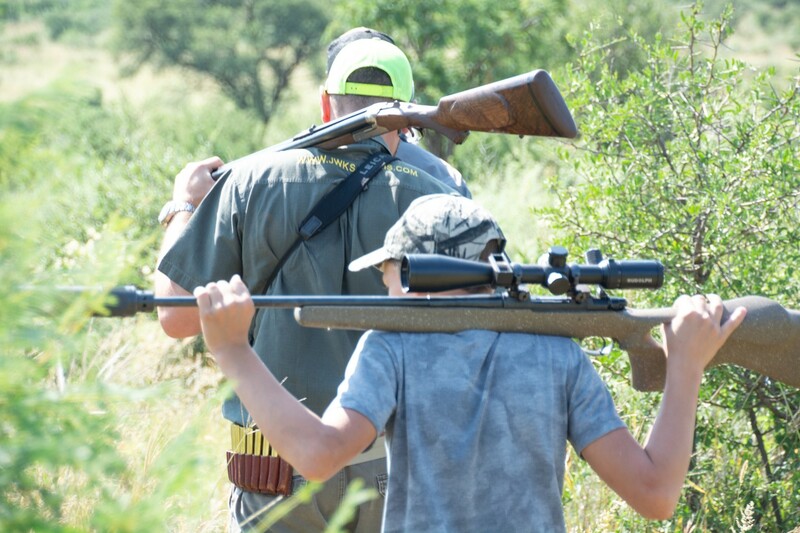 After that first visit to a game farm I asked my father about getting me a pellet gun, but he said that we should rather wait to do our ‘homework’ as he knew nothing about guns and we also had to ask the government (my mother) for permission. Later that year I got my first rifle – a gas-piston pellet gun and I started to practice shooting targets in my backyard. My father also organized a dove hunt on a farm outside Bethal and on my first outing I shot 8. The only rule that my father has when it comes to animals I shoot is that we eat them – except for vermin. A few months later we started to talk about getting a better air-rifle so we watched many YouTube videos to understand what we needed. I finally chose a PCP air-rifle in a .22 caliber and my father suggested that I join the local air-rifle club to develop my rifle handling skills and safety. With that rifle I have gone on many bird hunts which have included Guinea-fowl, francolin, yellow-billed ducks and Egyptian geese. My mother only likes the rifle because I shoot all the rats, feral pigeons and mynah birds in our yard. But I still wanted to hunt an antelope. In 2018 my father took me to a game farm in Ficksburg to see what a hunting operation was all about, it was really a memorable visit. I also collected books and magazines on the topic of hunting which helped me to learn more before the actual day came (I actually think my dad tricked me to read more). In that same year my father came to hear about Jono Joseph and JWK Safaris from a close friend. After my dad spoke to Jono about the possibility of me hunting my first antelope a proposed hunt was roughly planned. 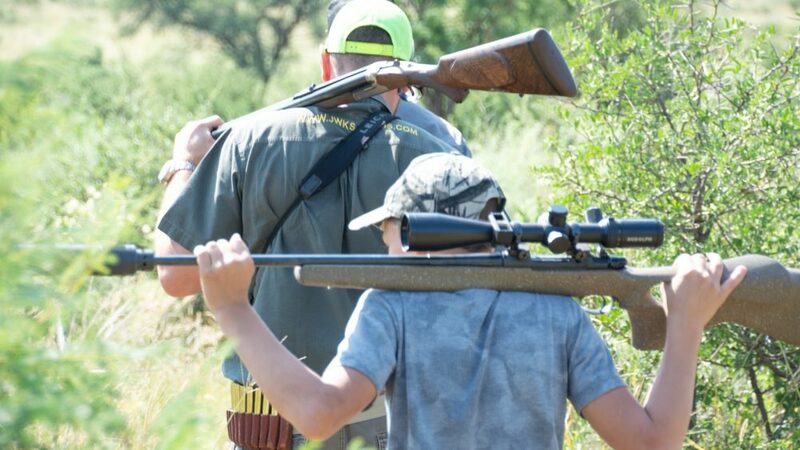 Early this year the plans were finalized and we were off to Jono’s hunting farm outside Potchefstroom for my first antelope hunt. When we arrived we met Jono at the farm gate with his two dogs which are his trusted hunting companions. We also met Samson who was Jono’s right hand man in the field. We were soon on the range where I got instruction and sighted-in the rifle I was going to use. 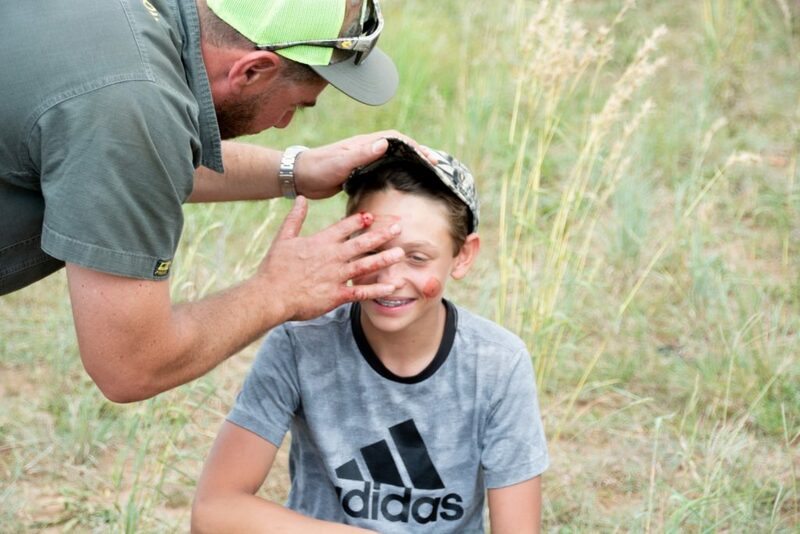 I had a good laugh when Jono allowed my dad to shoot one of his big rifles that almost knocked him over and shot right out of his hands. The rifle I used was a Remington 223 caliber which was much heavier and longer than what I expected, but Jono made me feel comfortable in my shooting ability. 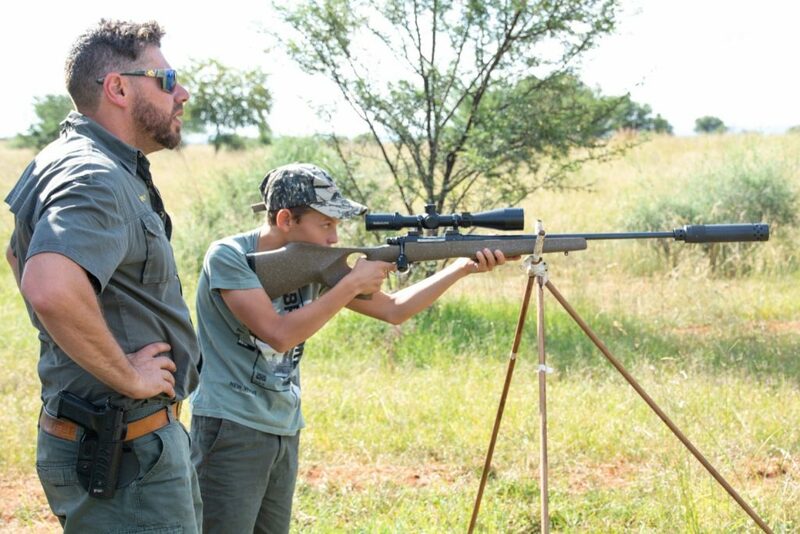 Later that afternoon we drove around the farm to get me used to handling the rifle in the field and Jono gave me the opportunity to shoot a jackal – sadly no luck.